The giveaway at Goodreads is over – congratulations to Lisa, Rachel and Mary! Your copies of Heart's Desire are on the way! And congratulations to Haley, who won the giveaway from The Literary Maidens! I'll be shipping your autographed copy this week! If you love reading, and you love free books, Goodreads has great giveaways going on all the time! Check it out! I will be announcing a new giveaway later this month – check back for more details. In case you missed it on my Facebook page, Starflower is now available on Amazon! 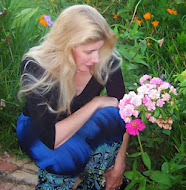 You can read the Legend of the Starflower HERE and an excerpt from the book HERE.